It’s about 5 weeks and counting for every marketing department world-wide to comply with the EU’s GDRP legislation. It isn’t too late, but time waits for no marketer. 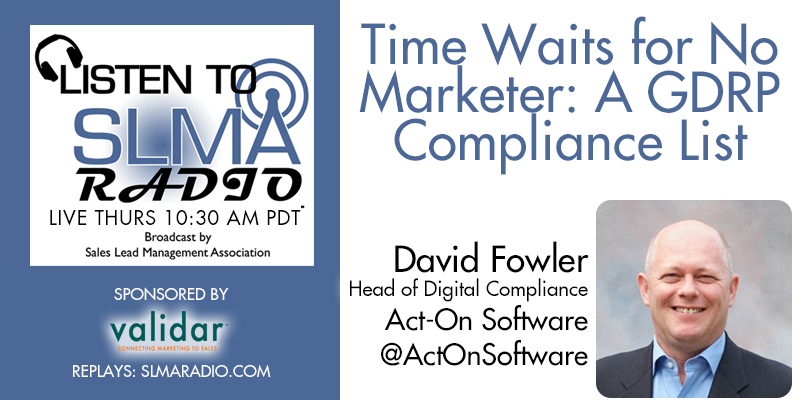 In this program David Fowler, of Act-On’s digital compliance department gives us a list of his top compliance recommendations.